The type of UAV and the size of a camera are closely linked. 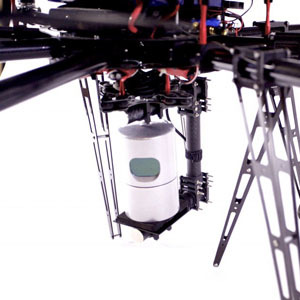 The size of the UAV will generally dictate the camera payload. 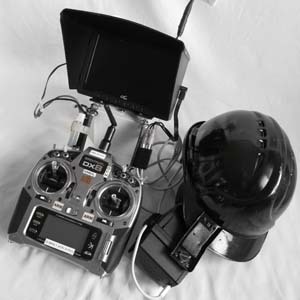 The type of camera mount or gimbal the UAV uses is also very important. Generally, the bigger the camera, the shorter the flight time. With the larger cameras, flight times may be limited to 4-5 minutes per battery pack. However, in filmmaking, shot sequences are usually very short so this isn’t a major problem. 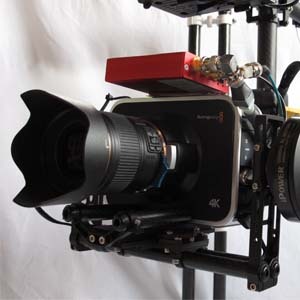 BuzzView uses the latest 4K Super 35mm format cameras. UAVs are becoming popular as a method of obtaining aerial video and photos. UAV aerial filming is far more versatile than mast photography and can obtain more detailed images than conventional aerial photography as they are able to get so close to their subject. Surveillance platforms use a range of sensors (e.g. radar) to monitor their intended location via live streaming video, audio and recorded secure data. Digital imaging technology, miniaturized computers, and numerous other technological advances over the past decade have contributed to rapid advances in aerial surveillance hardware such as micro-aerial vehicles, LIDAR, forward-looking infrared, high-resolution and false-colour imagery capable of identifying specific areas of interest whilst mounted on UAVs. BuzzView can provide the technology and expertise in a cost-effective and reliable package. BuzzView can provide cost-effective and realistic operational training. We will build upon what your brief initial training covered. We will go into the risk management and assessment from an applied, practical perspective. We will explain the specific aerodynamic principles of flight directly affecting multirotor platforms not covered on your initial course. At the end, you will be able to complete an effective risk assessment that will satisfy both your client and your insurance underwriters. You will be able to recognise and recover from specific circumstances where loss of lift can and will occur.